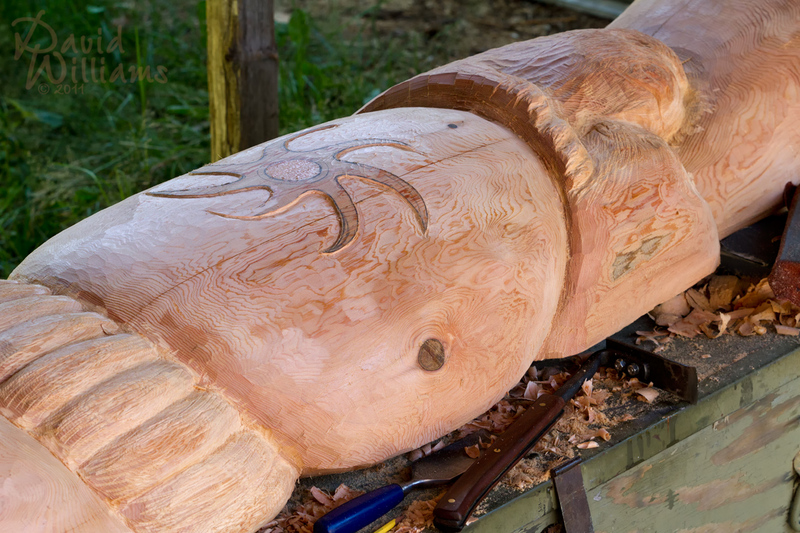 I’ve had the honour of working with Bob Antone, a local woodcarver, to track the progression of this Story Pole he’s working on which will be erected in Fort Liard, Northwest Territories, Canada in 2012. Last weekend I was able to head over and spend the morning with Bob. 🙂 More images to come…enjoy! Totem poles are awesome, such fine craftsmanship. David- you are the right person to capture the best angle that tells it all. Very nice capture of the wood details and texture. Let me know when you go back there again. Good shot – great capture of the color and texture of the wood. Looking forward to seeing more photos in the series.